Today’s the big day! The day Mario Kart 8 Deluxe sees its worldwide release and although our review is running late, it’s almost finished, but I can’t help but put it on hold as I give this turn of events priority! With both Inkling Girl and Boy making their debut in the newly released racer, of course the Splatoon account would want to honour the game that has incorporated the Splatoon brand, by way of incorporating two characters with different colour skins available, plus the Urchin Underpass stage and the all new Splat Buggy! 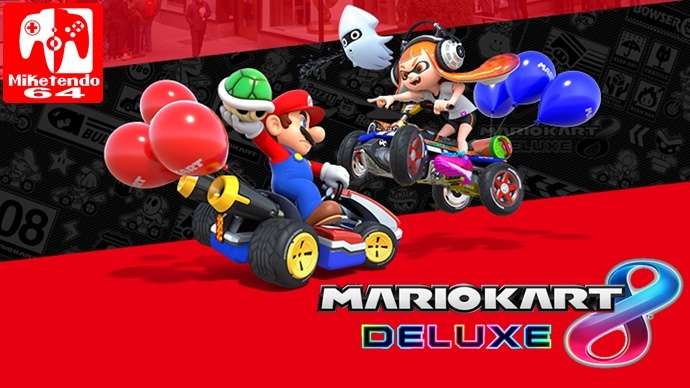 So since are available to use right from the start, how many of you reading this purchased Mario Kart 8 Deluxe today and what do you make of the inky additions? Let us know!